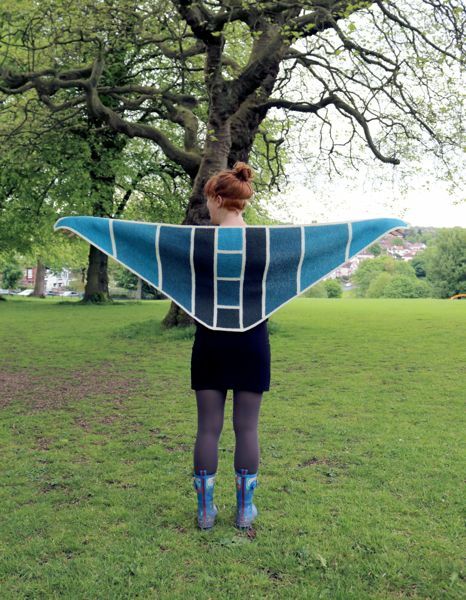 Well, it’s been a while, but I’ve updated the Etsy shop for the first time this year. 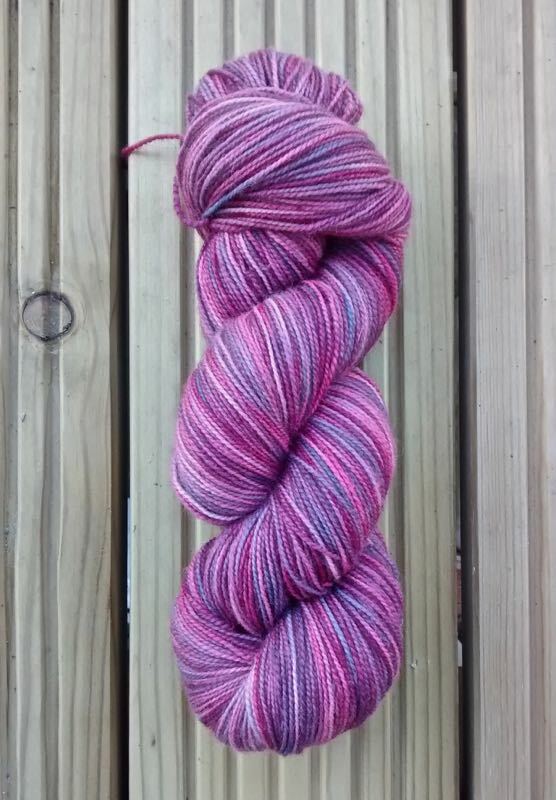 There’s plenty of 4ply/sock yarn in the shop now, with some top ups of favourite colourways, some completely new colourways and some that have only been previously available at shows. ‘Marie’s Dad’s New Boots’, named after a customer asked for some purple and yellow yarn to go with her Dad’s new Dr Marten boots! 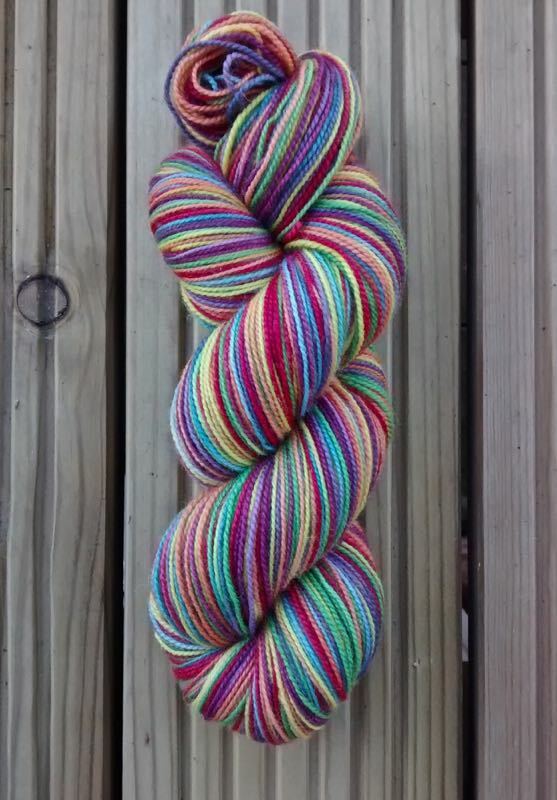 This is ‘Lucifer’, originally dyed for one of Baa Baa Brighouse’s yarn club. The one is currently without a name as it’s a bit of a one off! 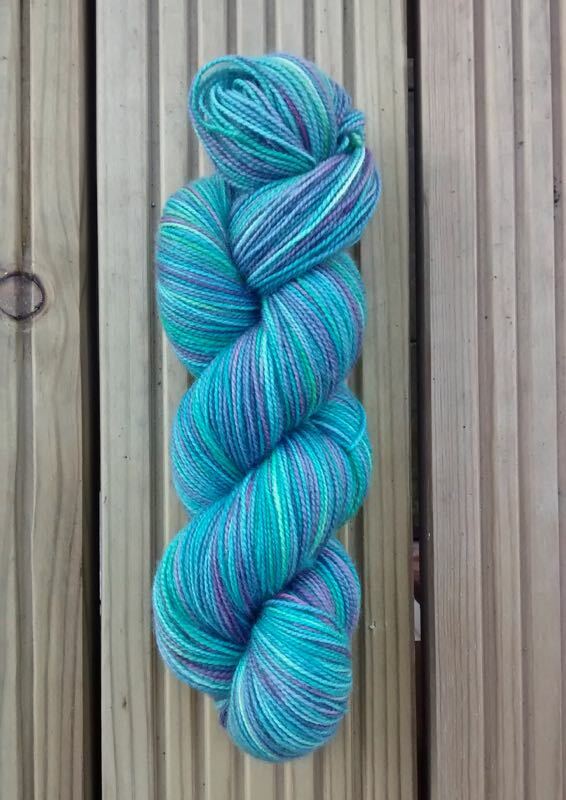 Another popular one ‘Under the Sea’. 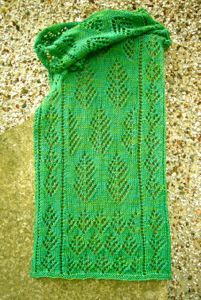 ‘Painted Sage’ dyed from a photo of flowers taken at the Gardens of Heligan in Cornwall. 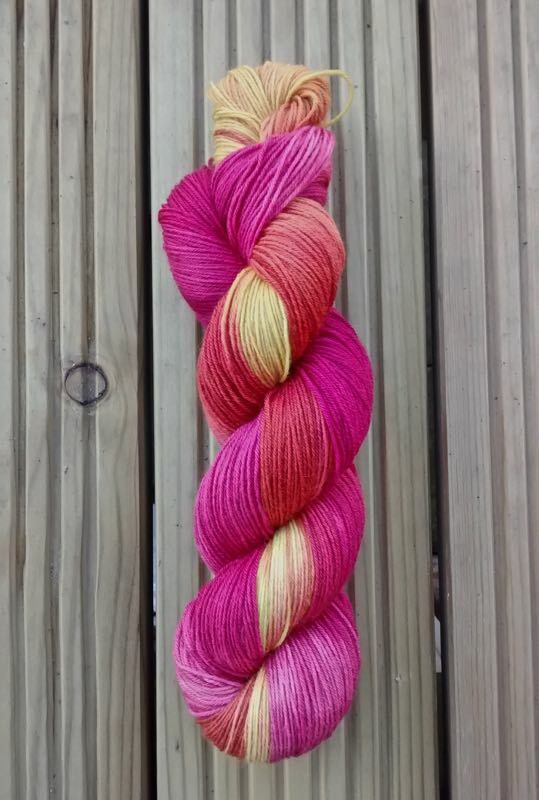 ‘Harrogate Blooms’, dyed for a photo of tulips from Harlow Carr gardens in Harrogate. 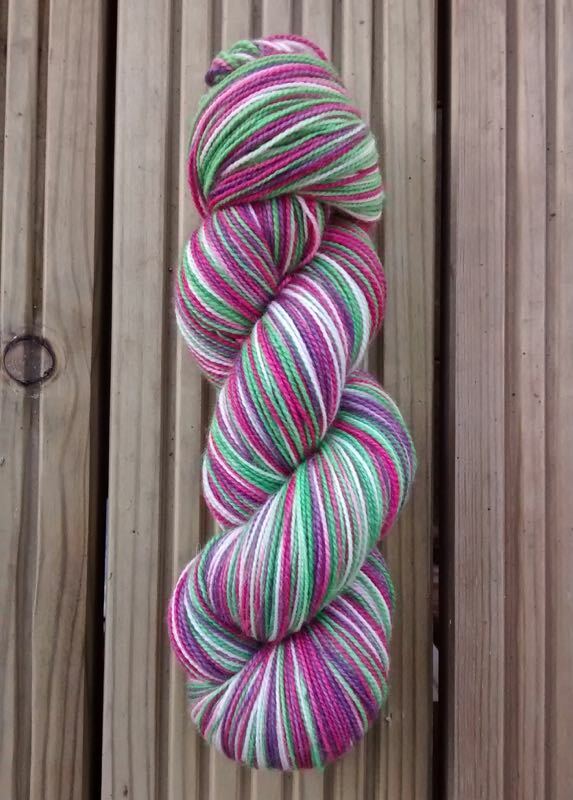 Another one originally dyed for a Baa Baa Brighouse yarn club ‘The Folly’. 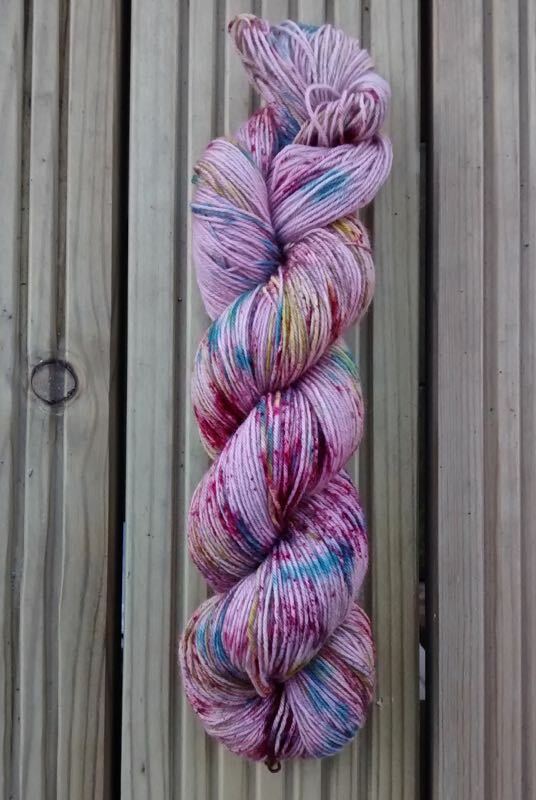 ‘Explosion in a Dye Factory’ with a pinky purpley base. 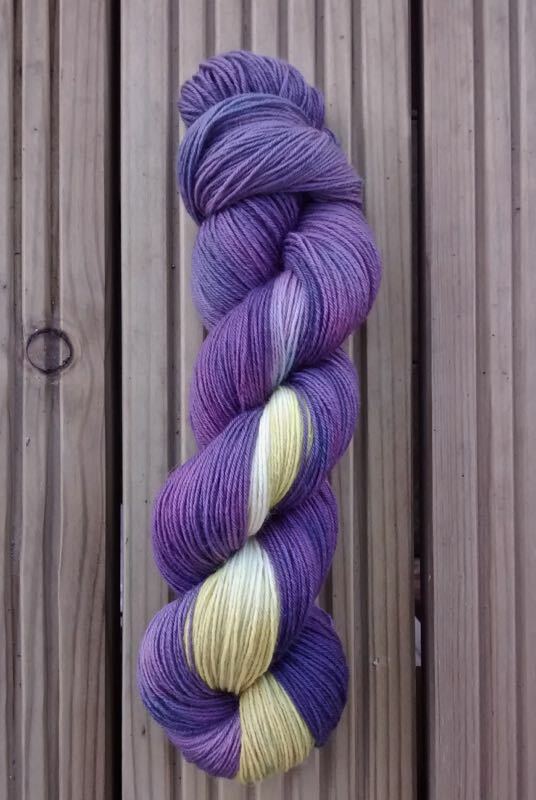 So there we are, lots of lovely colour hand dyed on British wool, with natural dyes. 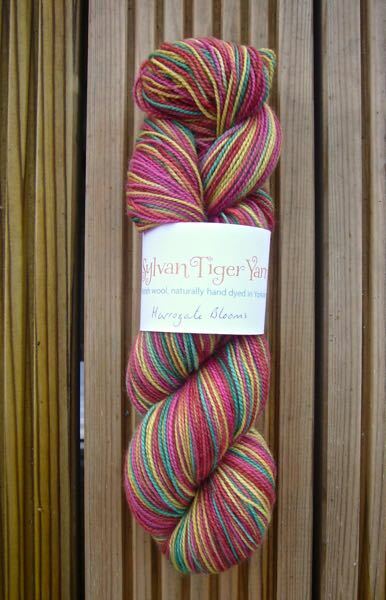 They are all available in the Sylvan Tiger Yarn Etsy shop now. 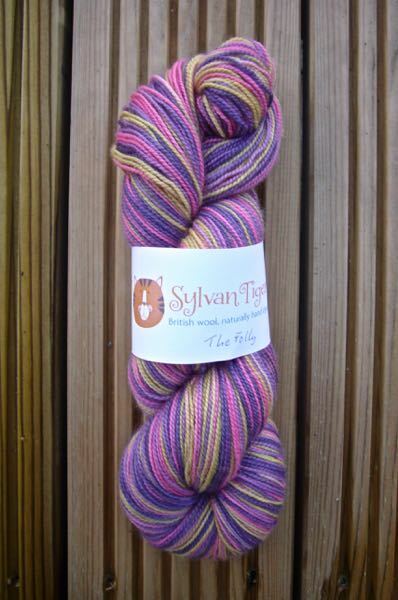 This entry was posted in Dyeing and tagged British Wool, dyeing, Hand dyed yarn on Monday 12th February 2018 by sylvantiger. ← Join the School of Flock!